Ever wondered about the features of je suis… jewelry? Perhaps wanted to see all of the different color variations live? Now is your chance! 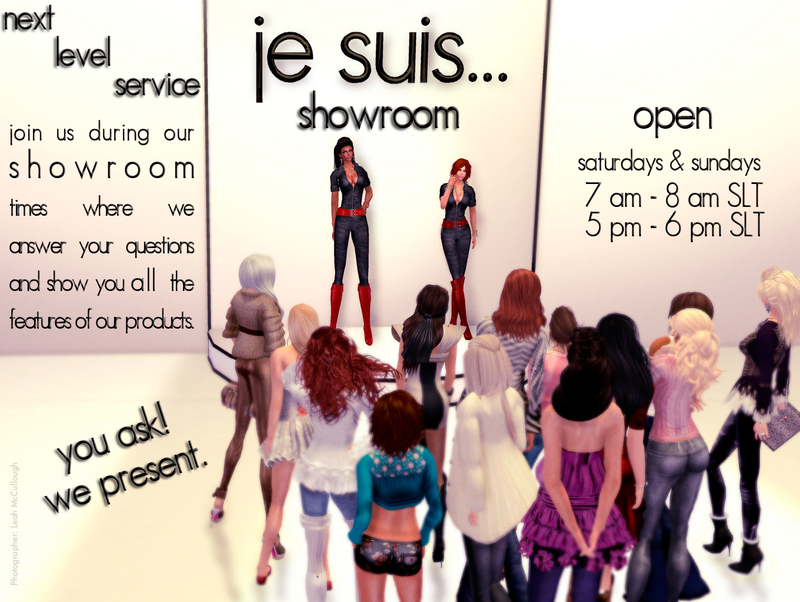 The je suis… showroom opens today and will be open every Saturday and Sunday from 7am-8am slt and from 5pm-6pm slt. Stop by and ask one of the je suis… reps your questions today! je suis… personal are only trained in brining you the finest quality customer service when it pertains to je suis… products. je suis… personal are not trained to answer questions about your love life, how the cosmos are aligned currently or give lottery predictions. We apologize for the inconvenience.